Orthopedic Injuries and Social Security Disability Help - Apply Now! Orthopedic injuries are really any injuries sustained to the musculoskeletal system, including bones muscles and joints. They can be devastating and create life-long disability and impairment, even with the best of medical care. If you have suffered from orthopedic injuries that have left you facing a long-term or even permanent disability, you have probably wondered about orthopedic injuries and SSD, or Social Security Disability benefits that may be available for people in your situation. Our social security disability advocates and attorneys are specially trained to fight and get you the benefits you deserve. Contact us now for free and win your disability claim! Fortunately, the Social Security Administration provides something of a safety net for US citizens that have paid into the system their entire working lives and suddenly find themselves unable to work due to permanent disability, including those caused by orthopedic injury. If you have found yourself in a medical situation you could not have possibly foreseen, applying for orthopedic injuries and SSD benefits may be in your best interests. There are some basic things to consider when thinking about orthopedic injuries and SSD. First, the extent of your orthopedic injury; does it prevent you from working or even performing basic tasks? Secondly, you need to think about the duration of your injury; is this going to be an orthopedic problem you are going to suffer from on a long-term or even permanent basis? If you answered ?yes? to these questions, there is a very good probability that you could benefit from orthopedic injuries and SSD assistance. It is important to remember, when dealing with orthopedic injuries and SSD, that you do have options and resources available to assist you in your time of trial and need. However, you do have to take the initiative and begin your orthopedic injuries and SSD application process. Contact us right away ? time limits your ability to file and win the benefits you deserve! We will provide you with a free consultation ? call now! There are many and varied types of orthopedic injuries that people can suffer from, ranging from mild and barely noticeable to severe and permanently disabling. Orthopedic injuries can be any injury to the musculoskeletal system, including the bones, tendons, muscles, cartridge and any of the soft or connective tissue. Because this system is responsible for our motion, damage can be life-altering and painful. It can limit us in our range of motion, our mobility and our overall comfort, potentially for the rest of our lives. If you find yourself facing a severe and debilitating orthopedic injury, one of the first things you should do is to seek out orthopedic injury disability help. Get the disability help you deserve by calling us right away! SSD help can assist you financially if you suffer from any form of permanent and disabling orthopedic injury, from strains ? otherwise known as a torn or stretched muscle or tendon, to sprains ? which is a torn or stretched ligament that cause permanent pain and loss of mobility, to sciatica ? which is damage to the sciatic nerve which runs into the leg and controls the leg muscles. Indeed, there are many types of orthopedic injuries than can qualify a citizen for orthopedic injury disability help. One of the most commonly cited is spinal stenosis, which is a painful spinal disorder that is caused by a narrowing of the spinal canal, primarily in the lumbar region. This can happen as a result of aging or injury, and is can cause incredible pain and discomfort which can limit sufferer?s ability to move and function normally. Another orthopedic malfunction that can result in the need for SSD help is known as degenerative disk disease, which is exactly what it sounds like: degenerative changes in the intervertebral disc of the spine. This problem results in chronic back pain lasting for three months or more, and it can happen anywhere on the back from the neck to the lower back. As the condition persists constantly and gets worse over time, it can require sufferers to seek out orthopedic injury disability help, and no one provides the assistance that we do. While the back is a primary place for orthopedic pain and mobility issues to develop, it is certainly not the only part of the orthopedic system that can be injured, damaged or disabled over the course of a person?s life and result in the need for orthopedic injury disability help or SSD health. Many joints that people depend upon to make their living, such as the shoulder, can become injured over the course of a lifetimes. Torn rotator cuffs are very common issues faced by many. Rotator cuffs are simply the muscles and tendons that hold the shoulder and upper arm securely in the shoulder socket. If you damage or tear these vital muscles, you can be in for a literal lifetime of extreme pain and limited function/mobility. Shoulder impingement is another painful and debilitating impairment of the shoulder area. The arms, hands, hips and lower body including legs and ankles are also places where a citizen can suffer damage or injury over the course of their lives that result in the need for orthopedic injury disability help. Some disorders that can become chronic and debilitating in these areas include ACL issues, carpal tunnel, hip and knee degradation and many foot-related disabilities, to name a few. Because an orthopedic injury can refer to any injury to the musculoskeletal system, the symptoms of orthopedic injuries can be many and varied. Sometimes, an orthopedic injury can be completely asymptomatic and heal on its own without the sufferer ever being the wiser. In other situations, however, orthopedic injuries can be completely devastating and permanently debilitating. It totally depends on the location of the injury, as well as the severity. Orthopedic injuries that occur along the spinal cord or in the hips and legs have the potential to be some of the most devastating, as they can and often do impair a person?s mobility. Symptoms of injuries that occur anywhere in the neck or back can included pain, loss of mobility, numbness and even paralysis. If you suffer an orthopedic injury to your neck or spine, it is always imperative to seek out medical treatment as quickly as possible to prevent potential long-term injury. Orthopedic injuries to the muscles, tendons or other soft tissues of the body can actually take longer to heal properly than those to muscles. Symptoms for these types of orthopedic injuries often include pain, tenderness, inflammation and loss of motion. If a soft tissue orthopedic injury occurs in the foot or leg, you may also suffer an inability to bear weight on the afflicted appendage. Other orthopedic injury symptoms can include bruising, twinges and cramps in the afflicted area, extreme swelling and/or redness or even rigidity where it otherwise did not exist. If you suspect you are suffering from some form of orthopedic injury, it is always advisable to seek medical attention. If you have suffered from an orthopedic injury that has resulted in long-term debilitation, chances are you are curious about Social Security Disability help for your situation. If you are considering applying for orthopedic injury disability help, there are some things that you are going to want to keep in mind to help you through the process and to make the SSD help application as seamless and easy as possible. The official term for orthopedic injury used by the Social Security Administration is called ?major dysfunction of a joint. ? This refers to any severe and debilitating form of joint dysfunction, regardless of the official medical diagnosis you may have received. It covers disorders that are degenerative or the result of accident or injury, and generally by the time your orthopedic injury is severe enough to qualify you for orthopedic injury disability help, you have probably been suffering for quite some time and your injury is likely quite pronounced. In order to qualify for Social Security Disability help for your orthopedic injury under federal law, you must meet certain qualifications. For example, you must have a physical anatomical deformity, chronic pain and/or stiffness/loss of mobility or other so-called abnormal motion. Additionally, you must also suffer from involvement of a major weight-bearing joint or involvement of a peripheral upper extremity joint, such as the shoulder, elbow or wrist. There is also an application process that anyone seeking orthopedic injury disability help has to go through in order to determine whether or not they are truly eligible for Social Security Disability help. As part of the process, the Social Security Administration will decide whether or not your injury is severe, chronic and debilitating enough to qualify for SSD help. We will fight for you to get you the benefits you deserve. As part of the process of determining if you are qualified to receive orthopedic injury disability help, the Social Security Administration will want to review both your medical history and your employment history to determine the extent of your disability and how it impacts your ability to work. Social Security Disability help is available for people whose orthopedic disability is chronic, long-term, and can be determined to limit their ability to function/move/work properly. Of course, the determination process is a long and technical one when considering SSD help for orthopedic conditions, and it is very specific. You are going to have to demonstrate that your need for orthopedic injury disability help comes from a condition that has gone on for three months or more and is expected to continue long-term or even permanently. If you are seeking orthopedic injury disability help, you may find that you are entitled to a partial recovery, in which you are found to have a reduced but not fully compromised ability to work. This would mean that you receive some SSD help, but are still expected to work to some extent in a reduced capacity to support yourself. Social Security Disability help comes in many forms, just as orthopedic injures do, and it is important that you have all of your facts in order during the application process so that you are awarded the most comprehensive and correct orthopedic injury disability help for your personal situation. If you suffer from an orthopedic injury, you may be confused as to how you should proceed with immediate and continued treatment of the issue at hand. When considering orthopedic injury treatment, there are many things to keep in mind, not the least of which being the location and severity of the injury. The first thing you need to consider when it comes to orthopedic injury treatment is whether or not to move an injured person following an injury. The general rule of thumb is that if the injury occurs to the head, neck or back, you should leave the injured person as immobile as possible and wait for qualified medical assistance. It is important to be prudent in these situations, as moving someone improperly can lead to the need for orthopedic injury disability help due to the long-term damage that may be inflicted when moving them. Orthopedic injury treatment for other areas of the body should take into consideration many contributing factors. For example, if the pain is severe, if a limb or area is crooked or bumpy, if it is completely immobile, numb or tingling, red or swelling or if you see redness or red streaks radiating from the injury site. In any of these cases, you are going to want to seek out immediate professional intervention to hopefully prevent permanent disability and the need for orthopedic injury disability help. In less serious cases of strains, sprains, bumps and bruises, there are at-home orthopedic injury treatment methods that can provide relief for minor injuries. For example, if you suffer an injury that results in swelling or bruising, the use of ice can limit the leakage of liquid from blood vessels by constricting them, which can in turn limit swelling and bruising and be a form of orthopedic injury disability help. Heat and compression are also common orthopedic injury treatment methods. We will handle the paperwork with the social security administration, you focus on getting healthy. 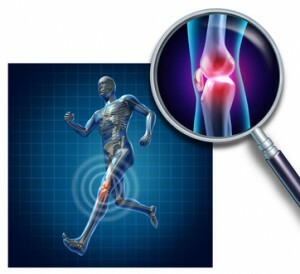 There are many different types of orthopedic injury that may qualify a person for orthopedic injury disability help. In general, the determining factors when considering whether an individual is qualified for SSD help are whether an injury is truly disabling and limits your ability to function and whether the effects are going to be chronic and long-term. In addition, you are going to need proper medical documentation on your side in order to qualify for Social Security Disability. Let us explain your rights and get you the benefits you deserve. Some of the conditions that can qualify a sufferer for orthopedic injury disability help include problems with a major, weight-bearing joint, such as a knee, ankle or hip. To qualify for SSD help under this category, you have to have a severe anatomical deformity that cause loss of mobility and pain chronically and in the long term. Or, you can prove the involvement of one major peripheral joint. Disorders of the spine can also qualify a citizen for Social Security Disability benefits. These disorders include herniated discs, spinal stenosis and degenerative disc disease to name a few. In order to qualify for SSD help for these orthopedic disorders, an applicant for orthopedic injury disability help must have a medically documented history of pain and loss of motion as a result of their disorder, and this must be disabling and chronic in nature. Other orthopedic disorders and injuries that may be considered for orthopedic injury disability help include amputation, fractures of the lower extremities or upper or lower arms or soft tissue injuries. Again, the major factors that are taken into consideration when working your Social Security Disability claim are the extent of your injury, how much it impairs your ability to function and how long you will be suffering. If you suffer from an orthopedic injury, you may be wondering how to get orthopedic injury disability help to assist you financially. Getting disability help can be a lengthy process and it is conditional upon many factors, not the least of which being your orthopedic injury itself. Our team will guide you through the process and make sure that you win your disability claim. There are many different types of orthopedic injuries that may qualify a citizen to receive disability help, but all qualifying conditions have a couple of things in common. Specifically, they must cause severe impairment of functioning, and they must be chronic problems that cause pain or loss of mobility/function over a long period of time or even permanently. One orthopedic injury disability qualifying condition is major dysfunction of one or more joints. This means that you have a visible deformity of a major, weight-bearing joint that causes chronic pain and impedes not only your ability to move but to also sit/stand/remain in one position comfortably. Alternatively, to qualify for disability help under this classification you may suffer from involvement of an upper joint that prevents fine motor movement. Other orthopedic injury disability conditions include amputation, fractures and soft tissue damage that result in long-term pain, immobility and loss of function/earning capacity. In order to receive disability help, it is imperative that you have a proper, comprehensive medical history of your condition as well as are able to demonstrate a work history that illustrates a loss of earning capacity as a result of the orthopedic injury disability you are suffering from. Keeping proper records can make or break your disability help case. We will keep things in order or you and will take care of your disability filing every step of the way so you can focus on your health. Contact us right now for a free consultation and win the disability benefits you deserve!